Our bodies, when healthy, are like well-oiled machines, with numerous parts all working together. However, if one part doesn’t do its job, well that machine stops being efficient doesn’t it? When our blood flow is impaired, our body doesn’t work like normal, and harmful conditions can arise. For having such a big name, this disease actually affects some of the smaller parts of your body—the joints. Osteochondritis, often known as OCD, occurs when joints and surrounding cartilage lose their blood supply. This can sometimes result in a small piece of bone beginning to detach. For most, it targets only one part of the body, however, there are cases where it is more widespread. Who is Affected by OCD? How is it Caused? Although it is more likely to occur in children and adolescents, anyone of any age can be affected by this disease. The exact cause of OCD has yet to be determined. Evidence indicates that previous injuries, such as fractures or sprains to the ankle, are most likely responsible. When you suffer a bone fracture, if the cartilage surrounding it is also damaged, there is a greater chance of developing complications like OCD down the road. In addition, blood supply to the area can be weakened when trauma occurs. The lessened blood flow can gradually cause harm as well. In some cases, the bone may even suffer irreparable damage. OCD shares similar signs of an ankle fracture or sprain. You will probably observe swelling and inflammation in the area, causing your foot to look larger than normal. Just as with other ankle injuries, you may experience pain that is worsened by standing and bearing weight. Aching or throbbing sensations are also common. As the condition worsens, other symptoms appear, such as joints locking or catching. This could indicate an increase in the severity of damage. Because signs can be confused and delay can be harmful, it is important to seek professional help as soon as possible. The signs of osteochondritis are so interlinked with other ankle injuries, it is difficult without a doctor’s diagnosis to determine the true state of your bone’s health. So, how will we be able to tell if it is OCD or a fracture? First, a history of injury or trauma is taken to see if you are a more likely candidate for this condition. A physical examination also offers clues. Next, an X-ray will likely be taken. This will allow for a closer look at the joint and area of pain, giving visual insight into otherwise unseen bones. Sometimes, an even closer look is needed to confirm a diagnosis. For this reason, you may undergo a CT or MRI scan that can provide a view from different angles. Once the condition is determined, the best treatment plan can be decided upon. If the trauma is recent, it is recommended that you stay off of your feet to allow for ample healing time. This is especially true for children who are still growing. A boot or crutches may be prescribed for up to six weeks. If the injury is not spotted early, surgery is often required. Small holes will be drilled into the bone, which allows new blood vessels to grow. Stitches will be in place for up to two weeks. Afterward, physical therapy can help to regain strength and mobility, as well as reduce any pain. Osteochondritis does not have to hinder your life forever. 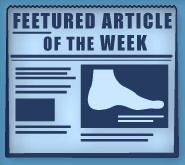 To learn more, please contact Dr. Michael Stein and Zeindelin Ahmad, from Foot Doctor of the East Bay. You can visit us online or at our offices in Pleasanton, Los Gatos, or San Leandro, CA today.